Dubai: Most people are familiar with the ‘agal’, a band-like accessory used to secure the ghotra (white headdress) worn by Emirati men. Beyond its functional purpose, one would not imagine that the agal would serve any other purpose. 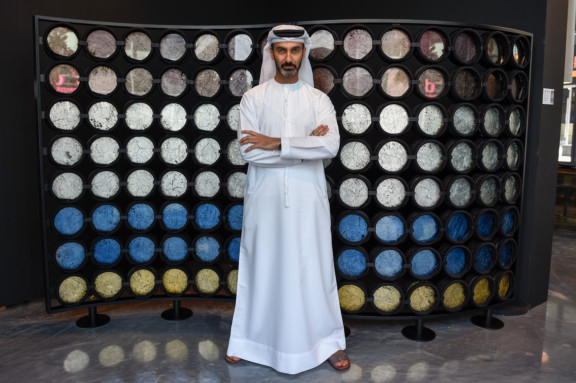 However, an award-winning Emirati product designer has managed to lend the agal an entirely new artistic dimension. 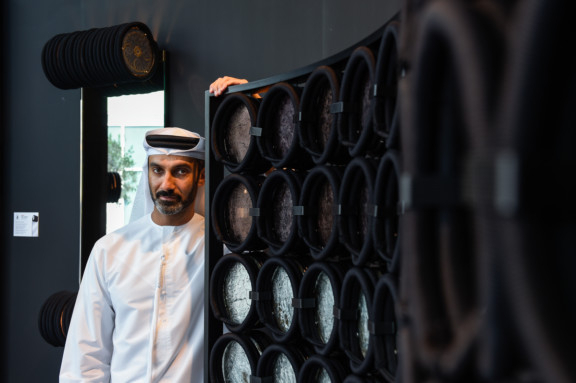 Khalid Shafar is demonstrating to the world that the agal is not merely a decorative object but a piece that can be used to enhance understanding of Emirati culture abroad. Shafar found that by deconstructing the agal, it can be used as a pure expression of art. “The idea of turning the agal into a motif happened in 2011 when, during a design conference, I was asked to design a piece that highlighted the concept of a being ‘link’ and interpret this within my work,” Shafar told Gulf News. 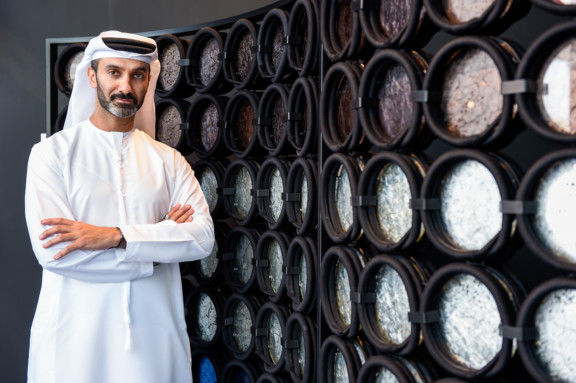 Emirati culture and traditions have always served as a source of inspiration to Shafar, shaping his design aesthetic, and he imagined the agal as a perfect representation of a ‘link’. “In essence, the agal is a circular shape that is created by two ends of a straight line being linked together. I used the agal as a pure building material and linked many agals together to create my first product - a space divider, that I presented as my project for the conference,” said Shafar, 38. His idea of exploring the agal in a different context for the last seven years ended up becoming a unique form of expression that is now his signature touch. “Beyond its main function, the agal has an emotional attachment to men from this region, dating back to our ancestors. It’s key to our traditional and national attire and part of our identity. I wanted to use it as a basic material to create shapes and forms,” said Shafar. Keen to continue paying tribute to Emirati influences that shaped his designs and sensibilities, Shafar’s deep passion for merging aesthetics in his contemporary designs enabled him to come up with 14 iconic interior pieces using agals juxtaposed with Venetian engravings. His range of interior products incorporating agals now range from lamps, chandeliers to space dividers and monumental mirrors and screens. In his latest collection titled Forma, Shafar explores the inter-play between ancient Emirati customs and Italian décor, while engaging in a cultural dialogue that pays tribute to local traditions. By collaborating with Arte Veneziana, a well-known Italian engraver and mirror works atelier of over 40 years, Shafar says his collection of 14 pieces bring heritage closer to the new generation. “In this collection, the agals were integrated in the design process from the start and juxtaposed with glass, mirrored surfaces or natural stone that have been custom engraved by Arte Veneziana, which specialises in handmade techniques,” Shafar explained. Shafar, whose approach to design encompasses the tale of objects, said this collection has a very strong story to tell and keep alive. “The collection is a homage to Emirati culture contrasted with Venetian craftsmanship. It also offers a bold social statement on respect for different cultures and fusion of creative techniques. 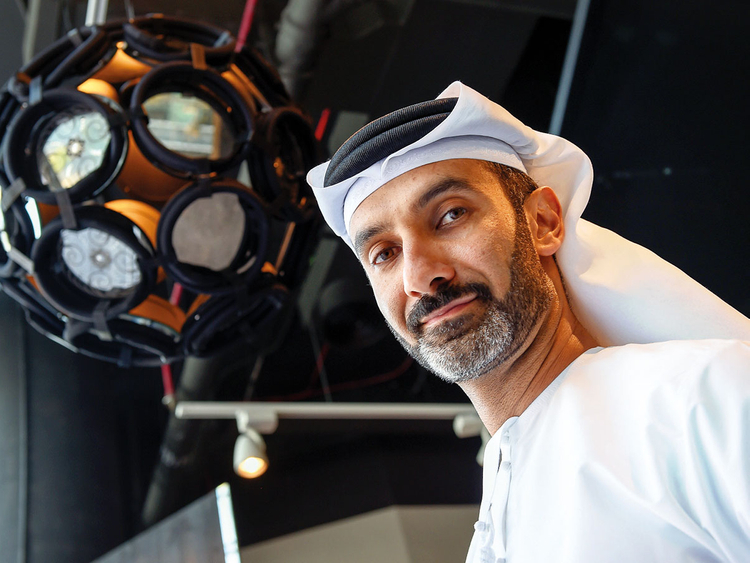 Shafar hopes his works that are being underscored by Emirati heritage can help connect people to their roots. Shafar’s Forma collection was launched during Dubai Design Week, running November 12 to 17 at Dubai Design District (d3) and is being showcased at the newly unveiled Arte Veneziana Archiade Atelier.